The Kum Magnesium Wedge Single-Hole Sharpener is an ideal tool for sharpening standard pencils. Equipped with a spring-loaded mechanism that reduces friction, its single hole sharpens smoothly and easily to a fine point. Its inner parts are molded to precision to provide accurate angle for cutting. 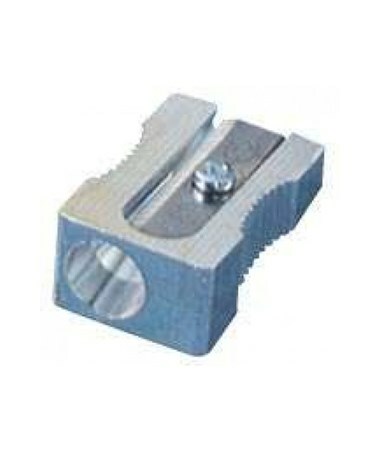 This single-hole wedge metal sharpener features a screw-mounted high carbon steel blade that is extra-hard and ultra sharp. 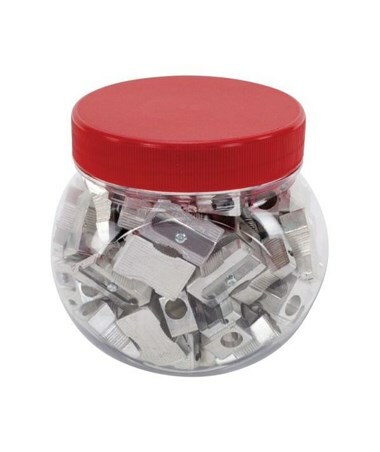 This allows maximum strength and prevents loosening or wobbling while sharpening. Made of magnesium alloy metal, it ensures durability and long-lasting performance. The Kum Magnesium Wedge Single-Hole Sharpener comes in two package options to accommodate different needs and preferences. 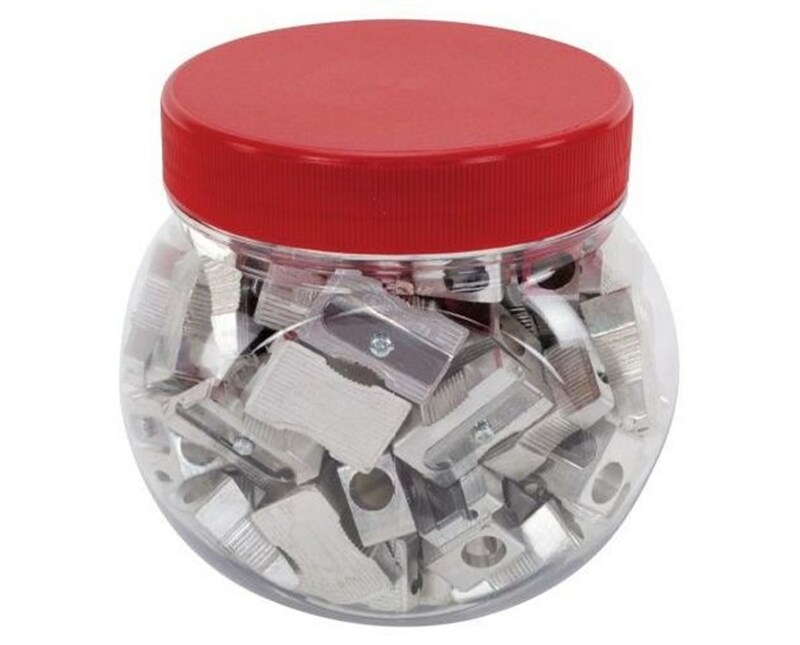 It is available in a box that contain 24 blister-carded sharpeners and in a 3.9-inch high display with 3.5-inch diameter that includes 100 sharpeners. The Kum Magnesium Wedge Single-Hole Sharpener comes in two package options. Please select your preference from the menu above.